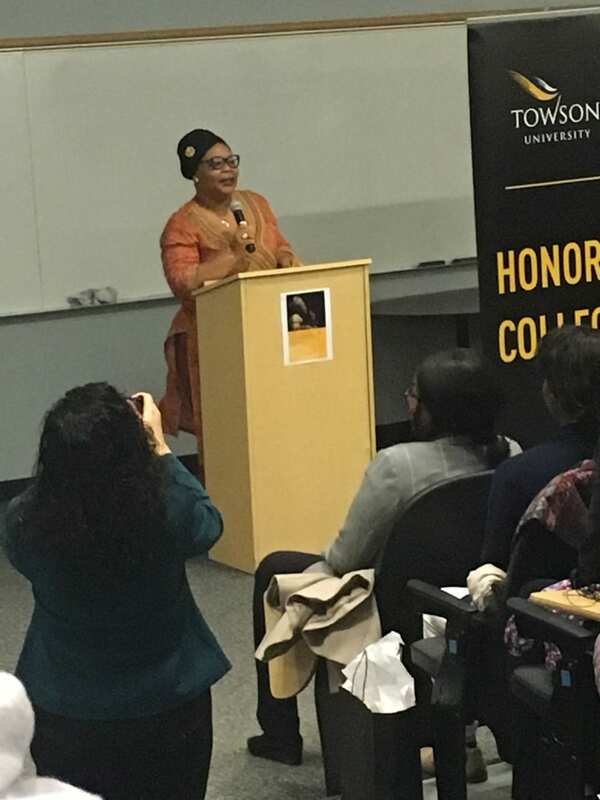 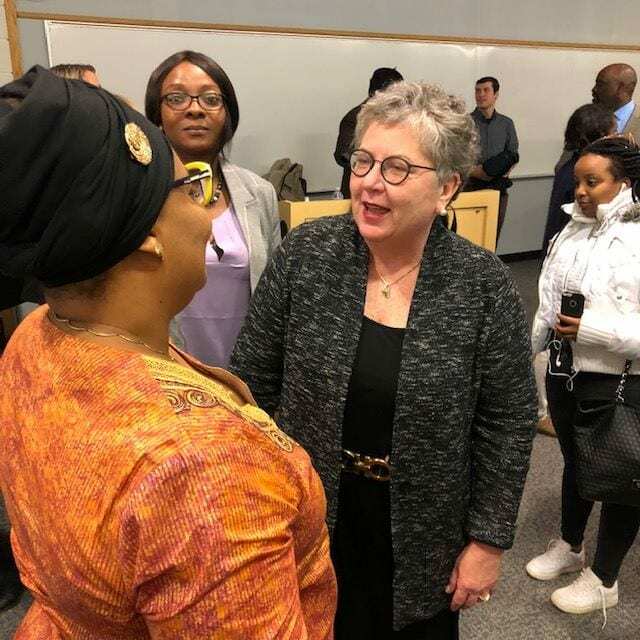 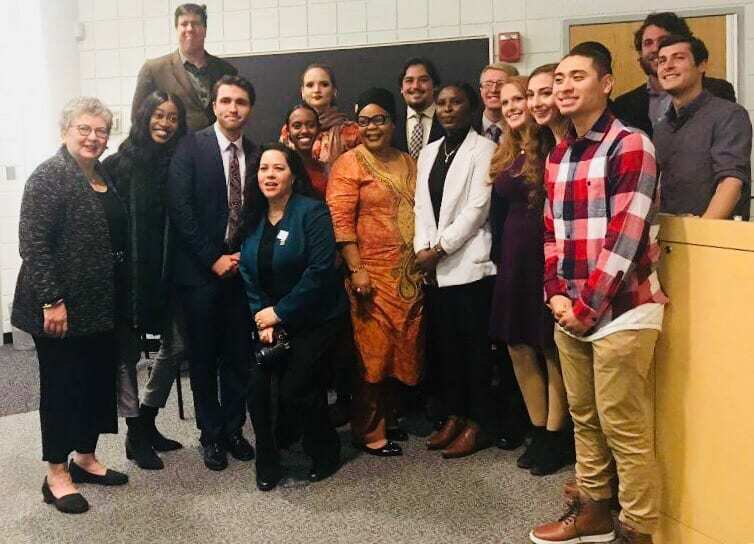 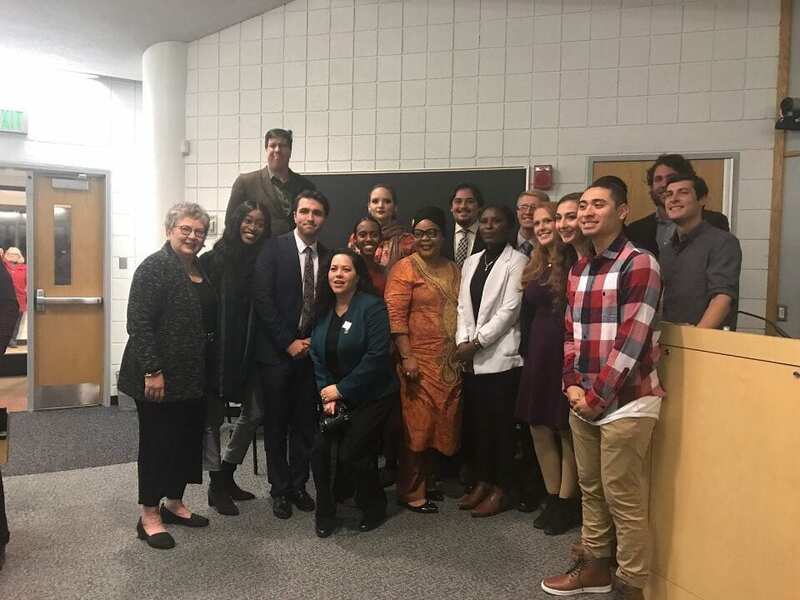 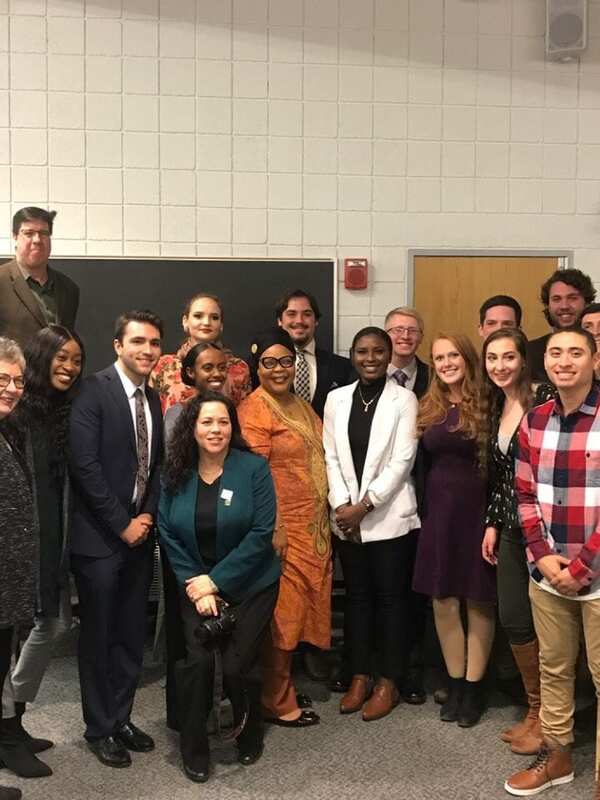 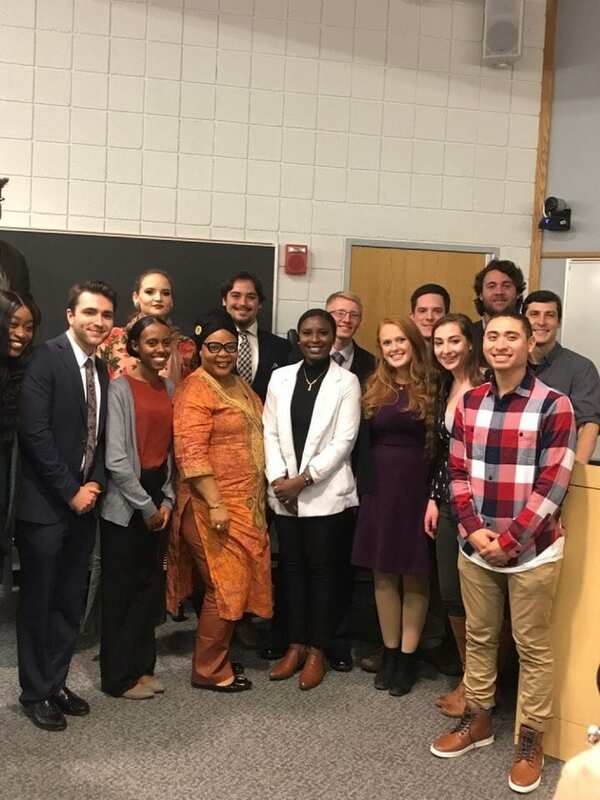 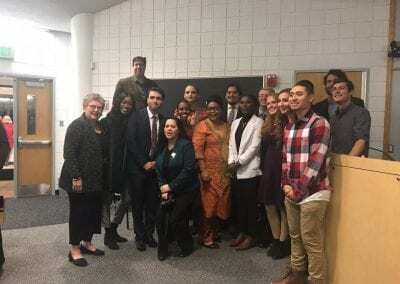 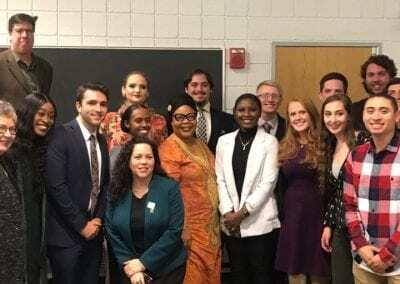 The Towson University Journal of International Affairs was honored to host Leymah Gbowee, a 2011 Nobel Peace Laureate, Liberian peace activist, and trained social worker and women’s rights advocate, for a talk on Saturday, November 10, 2018 from 7:00 to 8:15 in the Lecture Hall. 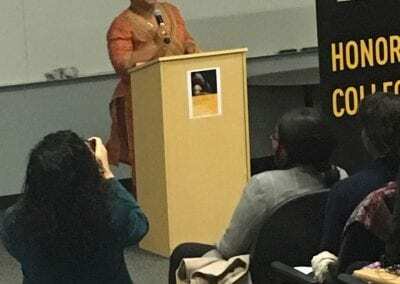 She is the founder of Gbowee Peace Foundation Africa (in Monrovia, Liberia), Gbowee Peace Foundation Africa-USA (in New York City, USA), and current President of the Gbowee Peace Foundation Africa. 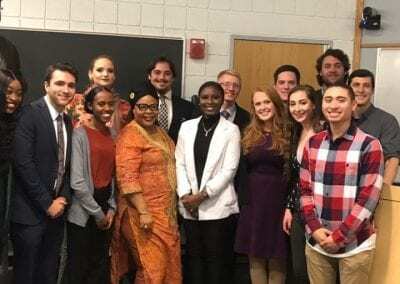 She currently serves as Executive Director of the Women, Peace and Security Program at Columbia University’s Earth Institute. 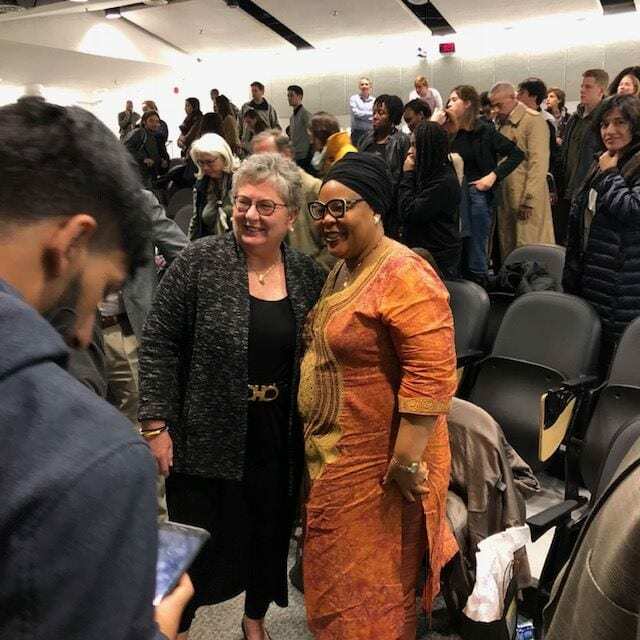 Ms. Gbowee is the founding head of the Liberia Reconciliation Initiative and co-founder and former Executive Director of Women Peace and Security Network Africa (WIPSEN-A). 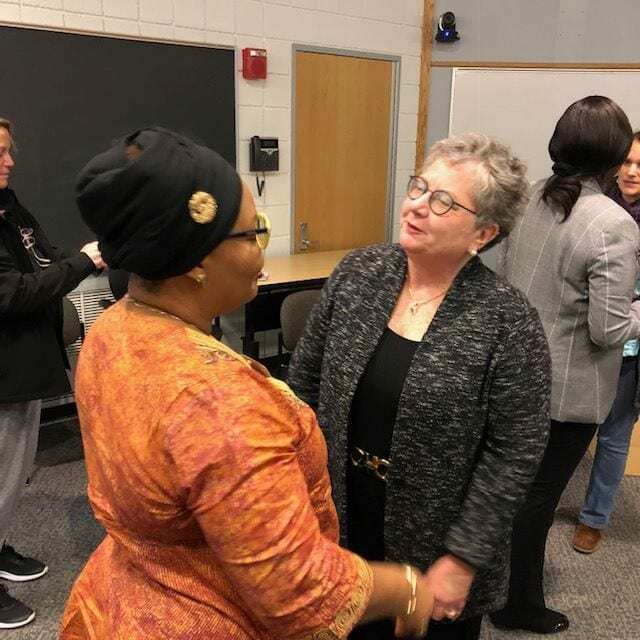 She is also a founding member and former Liberian Coordinator of Women in Peacebuilding Network/West Africa Network for Peacebuilding (WIPNET/WANEP). 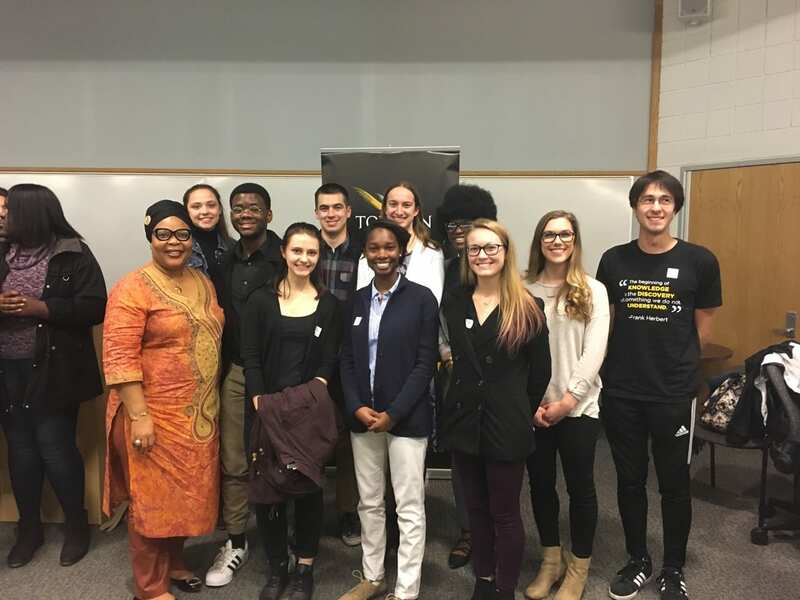 She travels internationally to advocate for human rights and peace & security. 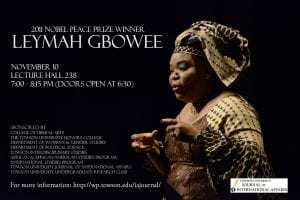 Ms. Gbowee’s leadership of the Women of Liberia Mass Action for Peace – which brought together Christian and Muslim women in a nonviolent movement that played a pivotal role in ending Liberia’s civil war in 2003 – is chronicled in her memoir, Mighty Be Our Powers, and in the award-winning documentary, Pray the Devil Back to Hell. 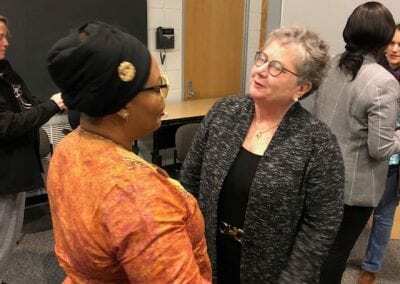 She holds an M.A. 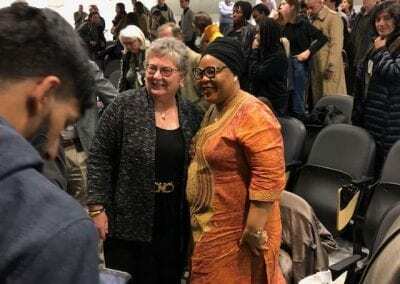 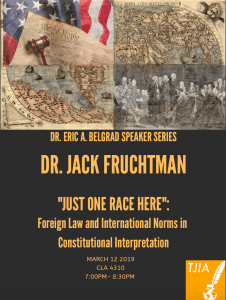 in Conflict Transformation and a Doctor of Laws honoris causa. Ms. Gbowee is an advisor for numerous organizations. 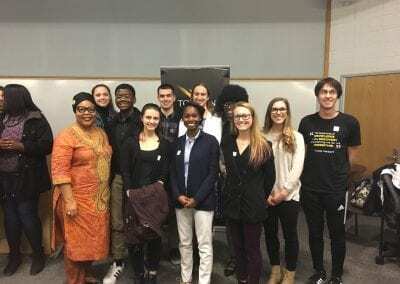 She serves as a Sustainable Development Goals Advocate for the United Nations and in 2017, she was selected by the UN Secretary General to serve as a Member of his High Level Advisory Board on Mediation. 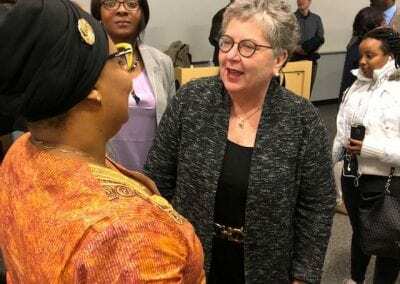 She is a Member of the World Refugee Council and serves on the board of the Nobel Women’s Initiative. 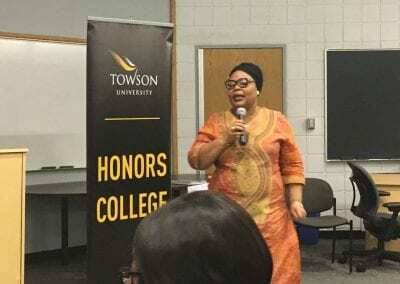 Nobel laureate Leymah Gbowee spoke at Towson University on Saturday, November 10th, from 7:00pm-8:15pm in the Lecture Hall Building. Welcome to the Towson University Journal of International Affairs. 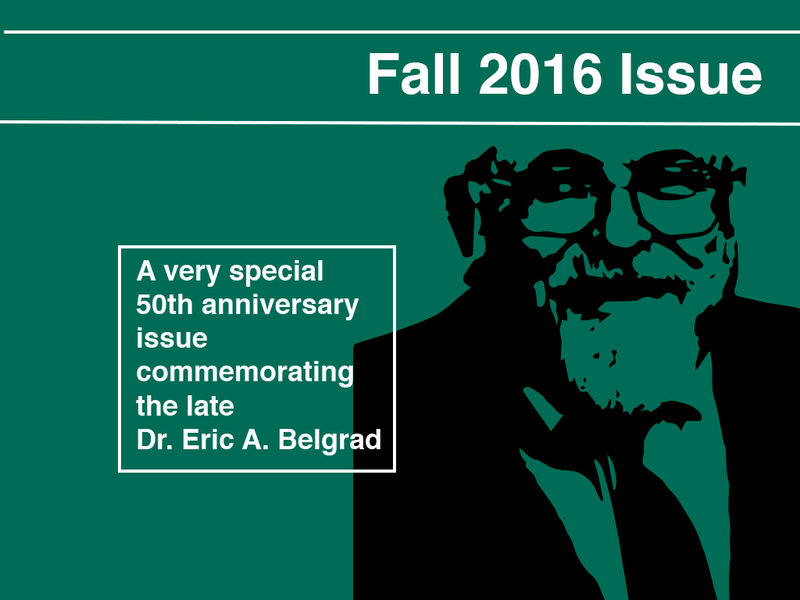 Established in 1967, we are the oldest undergraduate-run journal of international affairs.